Small Business Saturday Ideas: Can You Afford to Offer Discounts? × Sonya Stinson is a New Orleans-based writer who covers personal finance, careers, higher education, small business and lifestyle topics. Her work has appeared in Forbes.com, Bankrate.com, CNNMoney.com, Black MBA, Entrepreneur, Minority Nurse, American Craft, The Christian Science Monitor and many other publications. When the end-of-year holiday shopping season gets underway, small business owners get their day in the spotlight on Small Business Saturday. Towns drape banners above their main shopping corridors announcing the event and an assortment of special promotions aim to draw more traffic and drive up holiday sales. 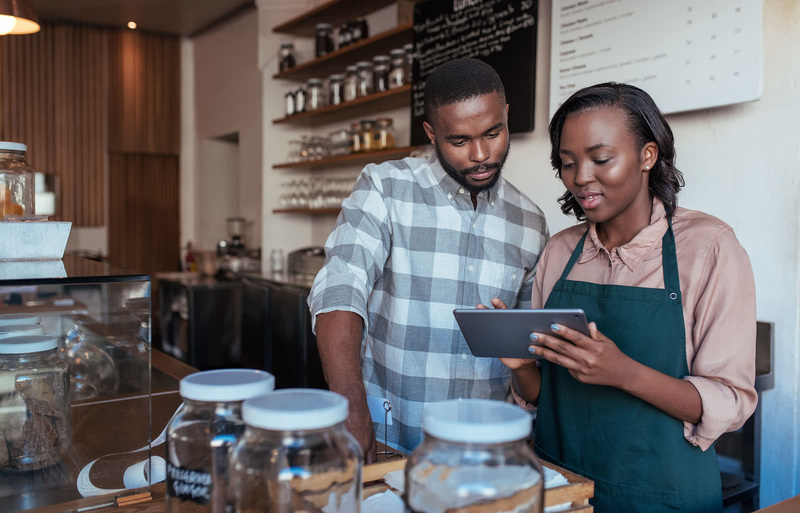 As you’re planning Small Business Saturday ideas for your business, you may wonder whether offering sales and discounts is a sustainable practice year after year. Offering discounts to customers is one of the most popular ways to promote Small Business Saturday, but can your business afford it? The answer depends on the way you set your discounts and how well you budget for some of the other costs associated with your promotion. You also need to weigh these costs against the potential sales growth and other benefits. Here are three top considerations for the lead up to Small Business Saturday. If you’re keeping the shop open for extended hours or need extra hands to handle the anticipated crowds, you may need more funds to pay overtime or hire additional workers. Your budget should also include any necessary increases in inventory and supplies. Besides making sure you’re well-stocked with your most popular items, check your supply of shopping bags, boxes, garment bags and other packaging. Including these extra payroll and stocking costs in your financial forecast may help you spot any cash flow gaps well in advance. You should also account for any marketing costs. The good news is that you can supplement your own spending with free resources offered by American Express, the founder of Small Business Saturday, along with a promotional assist from other organizations like your local chamber of commerce. Offering discounts to customers can be a great way to attract more traffic on Small Business Saturday, but that doesn’t mean you need to put a sale sticker on every item. Entrepreneur recommends keeping your flagship items off the discount shelves and racks, so you protect your profit margins for that signature merchandise, as well as the value of your store’s brand. For the products you do decide to discount, the sale price should be based on a sound analysis of your projected sales and profit margin. Entrepreneur warns small business owners against trying to compete with major retailers by offering deep, Black Friday-style discounts. At the same time, as the National Federation of Independent Business suggests, you should strive to be competitive with prices in your own league. Small Business Saturday falls at a time when many people begin their holiday shopping. The average consumer was expected to spend $1,189 for the holidays in 2017, according to PricewaterhouseCoopers. Eighty-eight percent of consumers planned to do at least some of their shopping in stores, and more than half of consumers planned to do some business at smaller specialty or independent retailers, either in person or online. On Small Business Saturday last year, CNBC reports that 108 million shoppers spent a total of $12.9 billion. Forty-one percent of those customers visited restaurants, bars and pubs; 24 percent shopped at clothing and accessories stores; 23 percent went to food stores; and 22 percent visited coffee shops. Capturing a healthy share of that market for your business may depend on how well you showcase the things people love best about their favorite local businesses: the friendliness, the ambiance and the personalized service. That’s why your list of Small Business Saturday ideas should include not just the discounts that get customers in the door for one day, but a commitment to providing the kind of customer experience that keeps them coming back year-round.